Conductor Jonathan Willcocks leads the festival choirs in performances of great English choral works including Elgar’s The Kingdom, Vaughan Williams’s Five Mystical Songs, Rutter’s Mass of the Children and Alexander L’Estrange’s Mass in Blue. Thursday 12 – Saturday 14 April 2018, Dorking Halls, Surrey. Elgar fans are in for a real treat thanks to the BBC Symphony Orchestra! 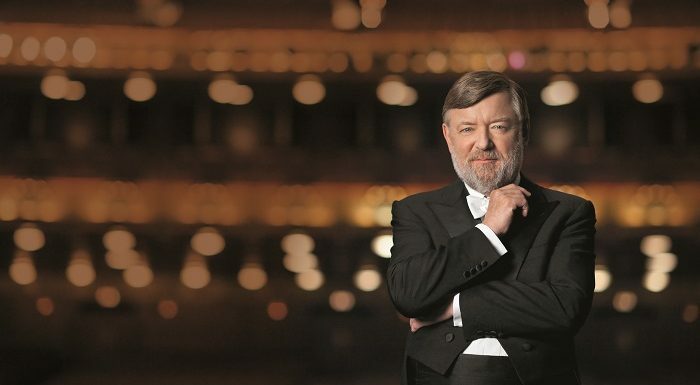 Sir Andrew Davis conducts The Spirit of England, Elgar’s ode to war, alongside excerpts from The Starlight Express. Before the main performance, choose between a concert of the composer’s sacred vocal music from the BBC Singers at St Giles’ Cripplegate, or an interactive workshop journeying through the evening’s repertoire designed for families with children aged 8-16. Friday 13 April 2018, Barbican Centre, London. To commemorate the 100th anniversary of women’s suffrage, the National Youth Choirs of Great Britain present a concert of works by women composers including Imogen Holst, Ethel Smyth, Thea Musgrave, Roxanna Panufnik and Imogen Heap. Also featured are Parry’s Songs of Farewell, written at the close of the Great War. Sunday 15 April 2018, St Andrew’s Hall Plain, Norwich. Earlier this year, Southbank Sinfonia’s Managing Director James Murphy set out his mission to bring gender equality into the concert hall by programming more works by female composers. This lunchtime recital gives us the chance to hear chamber music by two great English composers: Elizabeth Maconchy’s final string quartet and Ruth Gipps’s Seascape. Friday 20 April 2018, St Clement Danes, London. A day of performances and talks exploring the music of Sir Michael Tippett. In the morning, Sir Simon Rattle rehearses The Rose Lake with the London Symphony Orchestra, followed by a talk in the afternoon from the composer’s biographer Oliver Soden and performances of his chamber works including the Fifth String Quartet. Sunday 22 April 2018, Barbican Centre, London. Launching his new recording with the Royal Philharmonic Orchestra, British pianist Mark Bebbington discusses Delius’s Piano Concerto, and performs the Three Preludes and ‘On Hearing the First Cuckoo in Spring’ for piano duet with pianist Irene Loh. Wednesday 25 April 2018, The David Lloyd George Room, The National Liberal Club, London. Record producer Andrew Keener gives a talk on conductor Malcolm Sargent, considering his championship of Elgar and British music. Monday 9 April 2018, Queen’s College, London.